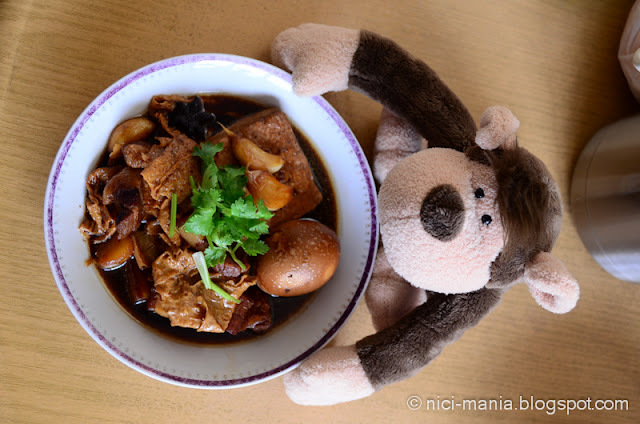 Today we are sharing with your our braised pork belly recipe with NICI Monkey. 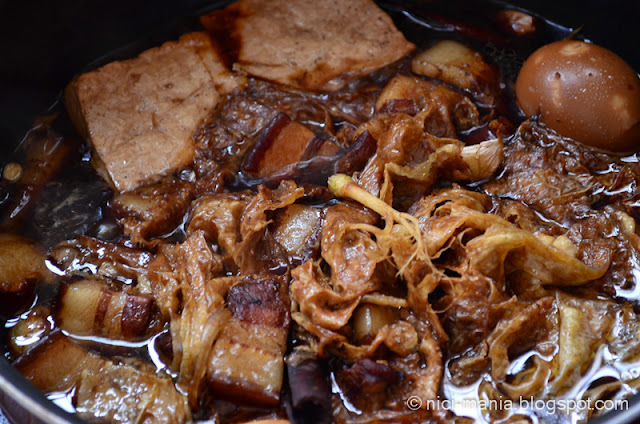 Braised pork belly is a very traditional dish that every Chinese family cooks and eats. 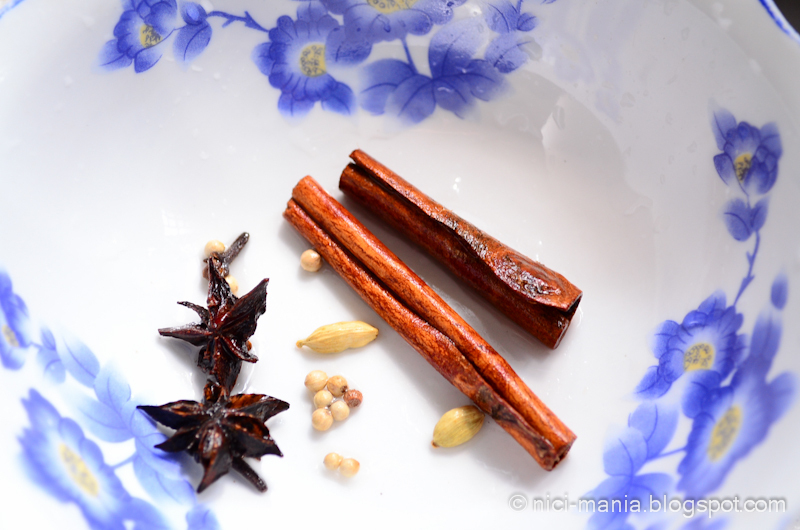 The spices are very important in our braised pork belly recipe today. These 5 spices - cinnamon stick, star anise, peppercorns, cloves and cardamom can be easily obtained especially in Malaysia as the Malays use them a lot for cooking soup and curry. The spices usually comes in one packet like this that cost only 50 cents. This amount is just nice for our portion of braised pork belly recipe today, any more will be overwhelming. Let's start cooking our braised pork belly. 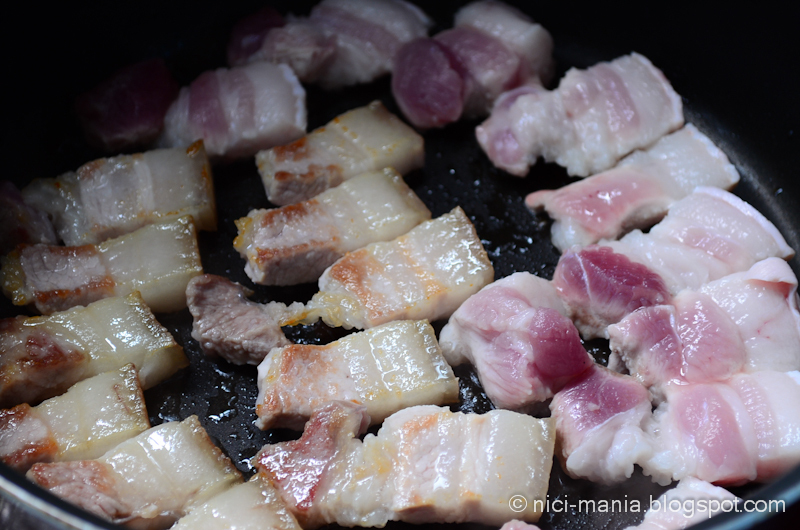 First we heat up a pan and start frying the pork belly meat without oil in high heat to release its own pig oil. 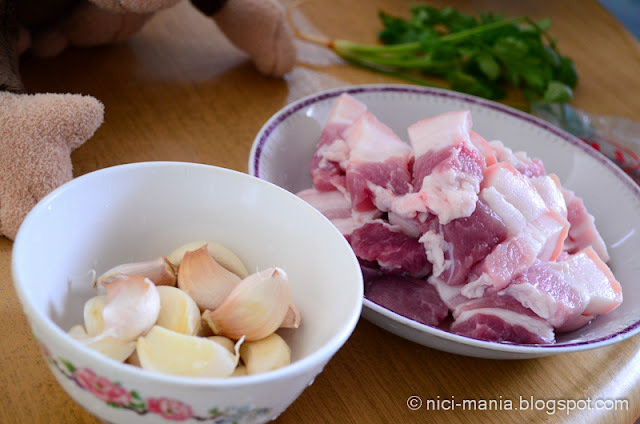 Once the pork belly meat is slightly browned, you can start adding the garlic and all the spices. 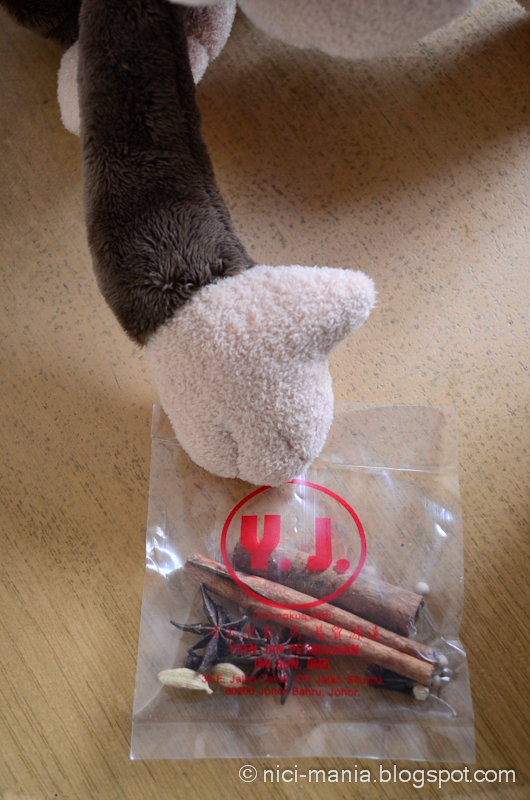 Do not fry the spices for too long over high heat, it will turn bitter. Next we add in copious amount of light soy sauce into the pan. 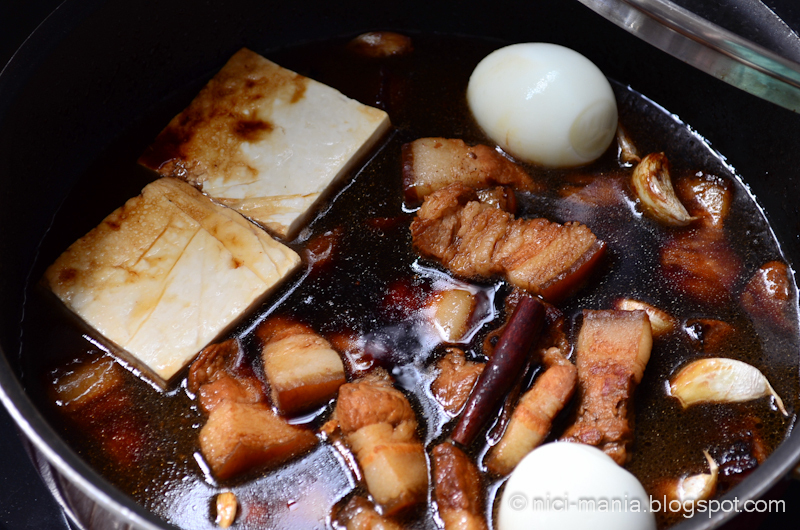 After cooking braised pork belly for so many years, it was never once calculated how much soy sauce was added. Just put more, not less, because if its too salty you can add more water later on. If its not enough, adding soy sauce at the later stage will be pointless. Immediately after, we add in the dark soy sauce, also in copious amount. 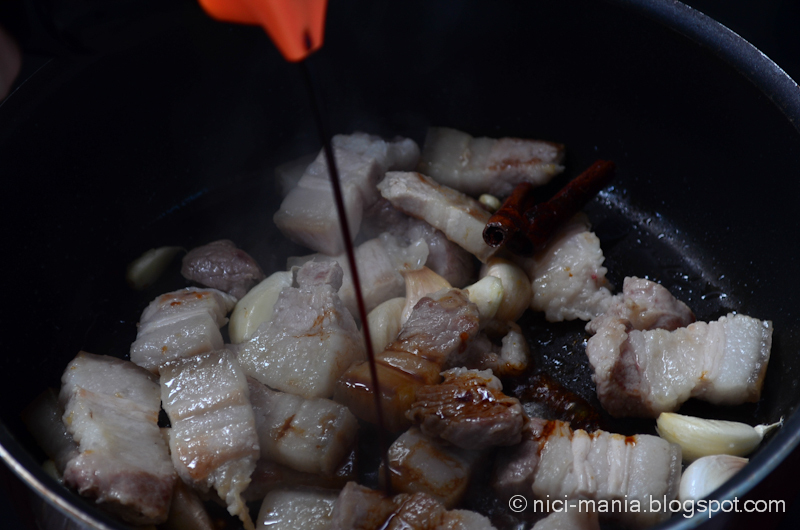 The light soy sauce is salty and the dark soy sauce is sweet, add them up you get the taste of the braised pork belly. 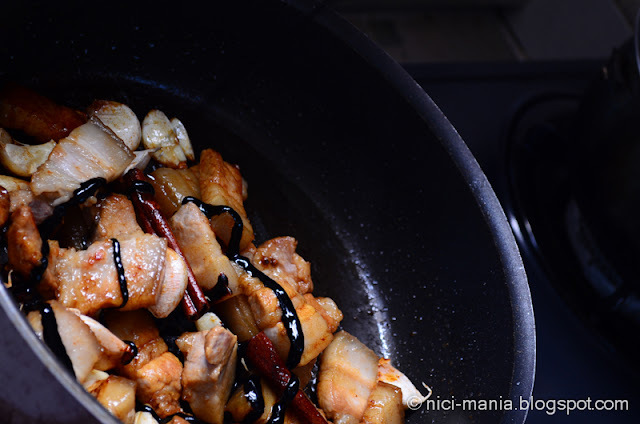 Continue frying in the hot pan for a few minutes to let both the soy sauce release its true taste. Next you can add in the bean curd and hard boiled egg and enough water to cover all the ingredient. Let it simmer for 1.5 hours and the braised pork belly is done. As simple as that! 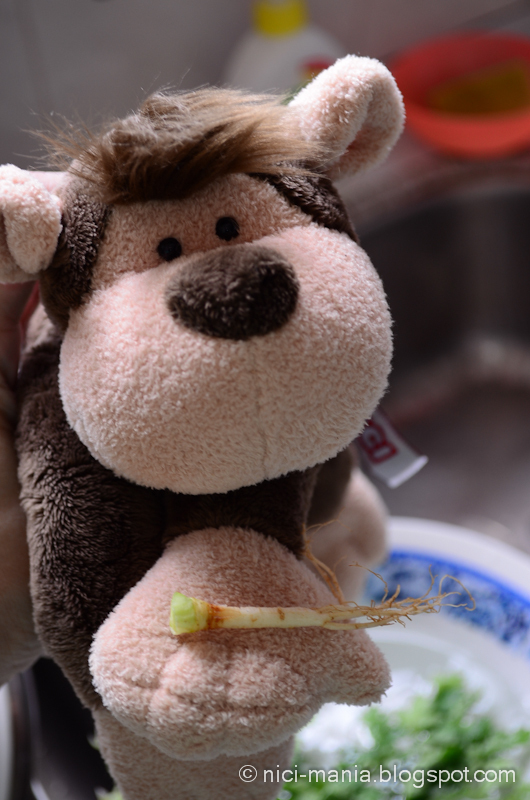 This is the stalk of coriander leaves, wash it well and add it into the braised pork belly. You can add this into any other stew or soup too as it is the most flavorful part of the coriander leaves. Traditional cooking secret. 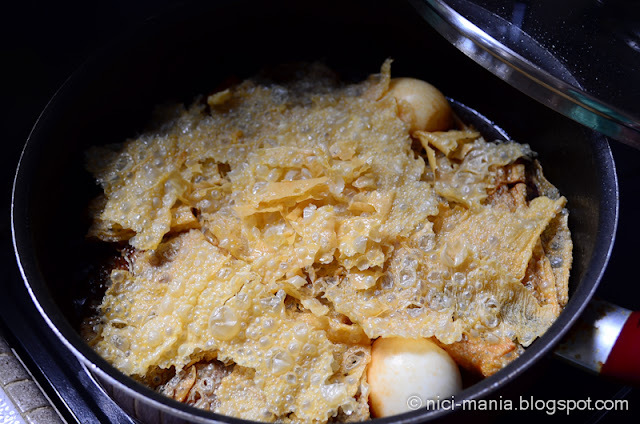 As the braised pork belly is slowly stewing, prepare the fried bean curd skin. 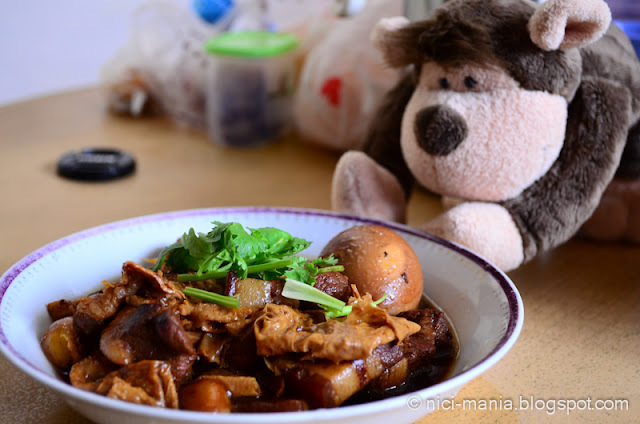 There are many types of fried bean curd skin, please don't get the one used for deserts. This fried bean curd skin is thin and crispy. 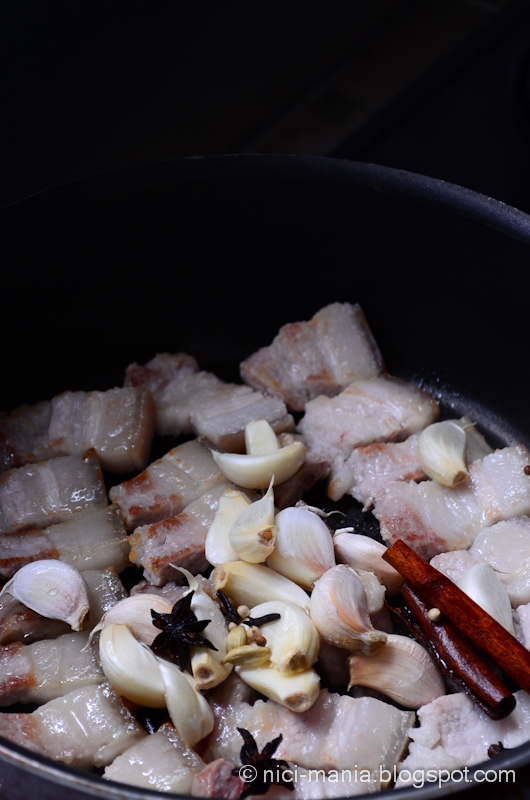 It adds a lot of flavor to the braised pork belly. You can add the fried bean curd skin into the braised pork belly anytime after you cut it up into any-shape pieces. They won't overcook or under-cook. After 1.5 hours of stewing, your braised pork belly is done. Garnish with the coriander leaves when served. Notice the gravy has dried up a lot and if you have used good quality soy sauce, there is no need to add any additional flavorings. If you find your braised pork belly stew is not tasty enough, add some chicken stock powder and you'll be surprised by what it can do. Adding more soy sauce now is futile. 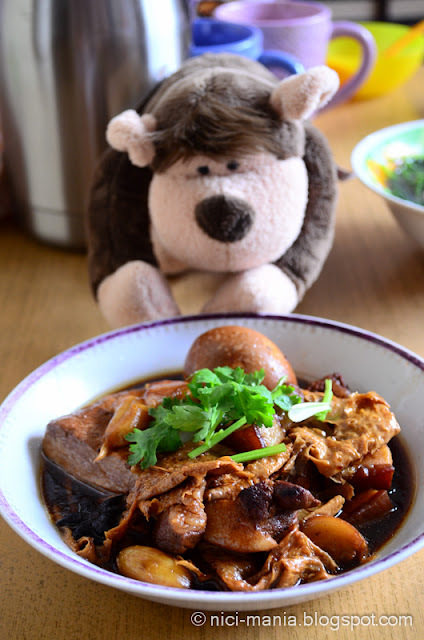 Hope you have enjoyed our braised pork belly recipe today. Wow!!!!! It looks delicious, yummy, tasty, etc...!!!! You are an excellent cook! I don't know how this pork tastes, but the way these pictures are taken and described, the same as you do about your sheep, clearly shows a lot of enjoyment and devotion.